San Diego: Quazell Technical Publishers, 1970. Original wraps. Very Good +. 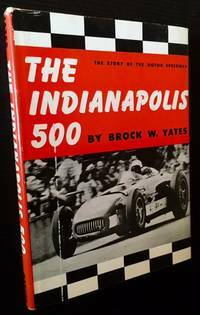 A solid copy of the 1970 1st paperback edition. Clean and VG+ in its pictorial wrappers, with light wear at the foot of the spine. Quarto, dozens and dozens of illustrations thruout complementing the text. The Oxford Illustrated Press, 1980. Cloth. Fine/Fine. 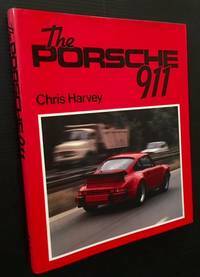 A pristine copy of the less common 1980 1st edition. Tight and Fine in a bright, price-intact, Fine dustjacket. Quarto, crisp black-and-white and high-quality color photography thruout. Burbank, CA: Autobooks, 1960. Cloth. Near Fine/Near Fine. A crisp, very sharp copy of the 1960 1st American edition. 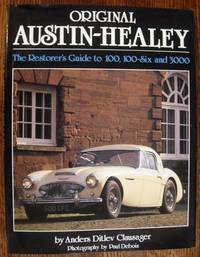 Clean and Near Fine in a bright, price-intact, Near Fine dustjacket, with just a touch of soiling to the rear panel. Octavo, 168 pgs. New York: Harper & Brothers, 1956. Cloth. Near Fine/Near Fine. A very handsome copy of the 1956 1st edition. Solid and Near Fine (with just a touch of offsetting at the inner hinges) in a bright, price-clipped, Near Fine dustjacket, with one very thin band of rubbing at the front panel and very light soiling to the rear panel. Octavo, vintage black-and-white photos thruout complementing the text. New York: Harry N. Abrams, 2005. Hardcover. Fine/Near Fine. A very sharp copy of the 2005 1st edition. Clean and Fine in a bright, price-intact, Near Fine dustjacket. Tall quarto, 244 illustrations in full color. Garden City, NY: Doubleday & Co, 1974. Cloth. Collectible; Very Good/Very Good. 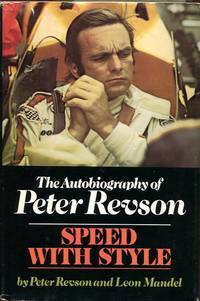 A handsome copy of Peter Revson's 1974 autobiography, published shortly after his tragic death on the race track. 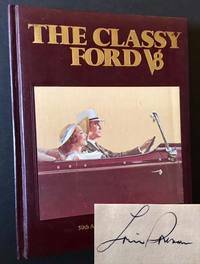 Tight and VG (with former owner name and date on the front free endpaper) in a bright, price-intact, VG dustjacket, with very light creasing along the panel edges and at the spine ends. Octavo, 221 pgs. Lausanne, Switzerland: Edita S.A., 1984. 1st. Decorative Cloth. Collectible; Fine/Fine. A clean, well-preserved copy of the 1984 1st edition. Tight and Near Fine in a bright, Near Fine dustjacket. Quarto, 232 pgs., hundreds of illustrations thruout. Devon, England: Bay View Books, 1996. Cloth. Collectible; Fine/Fine. A pristine copy of this 1996 re-issue. Clean and Fine in a bright, price-intact, Fine dustjacket. Tall quarto, 96 pgs., crisp color photography thruout. London: Dalton Watson Ltd, 1977. 1st. Hardcover. Collectible; Fine/Very Good. 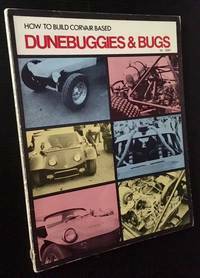 A solid copy of the 1977 1st edition. Clean and Near Fine in a bright, VG dustjacket, with very light creasing at the spine ends. Octavo, 196 pgs. 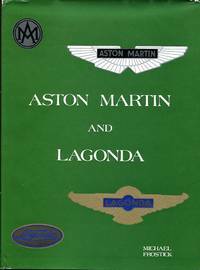 Los Angeles: Automobile Publishing Company. Cloth. Collectible; Very Good. The 1914-1915 Los Angeles County Automobile Directory. VG- in its blue cloth, with light soiling and spotting at the front panel and tender (but still perfectly sturdy) hinges. Octavo, wonderful local ads (several of them in bright color) thruout. New York: The Automobile Blue Book Publishing Co, 1921. Collectible; Very Good. 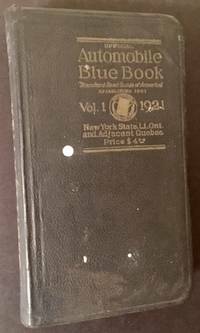 A solid copy of the 1921 issue of The Official Automobile Blue Book. VG in its black leatherette, with lightly-rubbed lettering to the front panel and very light creasing along the spine. Octavo, 962 pgs., wonderful period maps and advertisements (in color) thruout. Rosemead, CA: Gregory Publications, 1975. Cloth. Collectible; Fine. 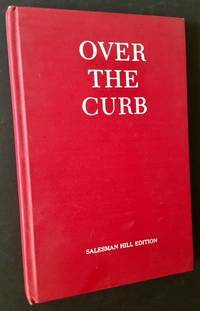 A sharp copy of the "Salesman Hill Edition" and the 1975 stated sixth printing. Clean and VG+ in it red cloth, with severa; small spots at the rear panel. Octavo, 103 pgs. St. Helena, CA: Silverado Publishing Co, 1982. 1st. Full-Leather. Collectible; Fine. SIGNED BY THE AUTHOR LORIN SORENSEN on the front free endpaper. A very sharp copy to boot of the 1982 1st edition. Clean and Near Fine in its dark-red leatherette, with bright gilt-lettering at the front panel and along the spine. Octavo, 240 pgs. Signed by Author. 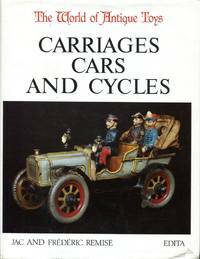 Paris: Editions Pratiques Automobiles. 1st. Decorative Cloth. Collectible; Very Good. Stated 1st edition, c. late 1940s. 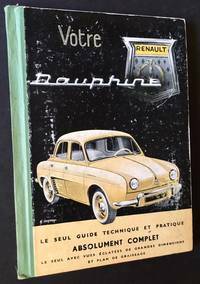 Wonderful charts and illustrations and advertisements thruout --and a detailed fold-out map of the engine of a Renault Dauphine. Solid and VG in its picorial boards, with very light rubbing to the panels. Octavo, 95 pgs. plus blank charts at the rear. Switzerland: Edita Lausanne, 1977. Cloth. Collectible; Fine/Fine. A crisp, very sharp copy of the 1977 1st English language edtion. Clean and Fine in a bright, Fine dustjacket. Quarto, 141 pgs. Translated by D.B. Tubbs. Nicely illustrated thruout by the author. Munich: Franz Schneider Verlag, 1954. 1st. Decorative Cloth. Collectible; Very Good. 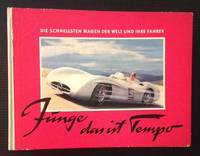 Wonderful, very visual 1954 German study of car and land speed racing --and of futuristic car design. (Includes a tipped-in, original black-and-white racing photograph). Solid and VG in its pictorial boards, with very light creasing at the front panel. Dozens of crisp black-and-white photos thruout. Oblong octavo, 64 pgs. Part of an early 50s German series on the boundaries of speed, other volumes focusing on rocketry, aircraft and motorcycles. Lausanne, Switzerland: Edita S.A., 1958. Hardcover. Collectible; Fine/Very Good. The 1957/58 edition of this impressive annual Review. Clean and Near Fine in a bright, price-intact, VG dustjacket, with light wear at the spine base and several small closed tears --and light creasing-- along the panel edges. Tall quarto, crisp black-and-white and wonderful color plates thruout. Chicago: Callaghan and Company, 1935. Collectible; Very Good. 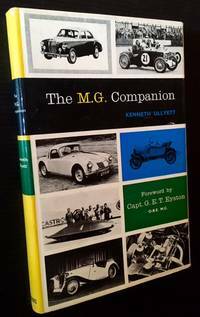 A handsome copy of the 1935 7th edition, complete in 6 volumes. All volumes solid and bright and VG+ in their dark-brown leatherette. Bright gilt-lettering at the spines, internally very clean. Thick quartos, over 4,800 pgs. all told. Each volume also includes its "1936 Cumuative Supplement" at the rear. Redondo Beach, CA: Photo Data Research, LLC, 2006. 1st. Original Wraps. Collectible; Fine. INSCRIBED BY THE AUTHOR ART EVANS on the title page. 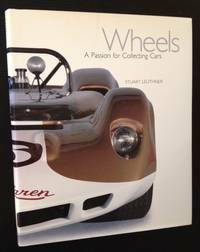 An immaculate copy to boot of the 2006 stated 1st edition. Bright and Fine in its pictorial wrappers. Quarto, 241 pgs. Signed by Author. New York: MetroBooks, 1995. 1st. Hardcover. Collectible; Fine/Fine. WARMLY INSCRIBED BY THE AUTHOR on the front free endpaper. An immaculate copy to boot of the 1995 1st edition. Fine in a bright, Fine dustjacket. Quarto, 176 pgs. Signed by Author.